I received my BA in Psychology from Reed College in 1964 and my PhD in Psychology from Stanford University in 1970. I arrived at the University of Queensland as a lecturer at the end of 1979. Previously I had served as an assistant professor at the University of British Columbia and Northwestern University. I was promoted to professor in 1991 and served as head of department from 1994 to 1996. From 1998 to 2004 I served as the director of the Australian Research Council funded Key Centre for Human Factors and Applied Cognitive Psychology. I am a Fellow of the Academy of the Social Sciences in Australia and a Fellow of the Association for Psychological Science. I have been Emeritus since 2010. I have published 1 book, 107 journal articles and 24 book chapters and refereed conference proceedings. My publications include four major theoretical articles in the Psychological Review as well as a major theoretical article in Behavior and Brain Sciences. In addition I have consistently published in the major empirical journals in my area including the Journal of Experimental Psychology: General, Cognition, The Journal of Experimental Psychology: Learning Memory and Cognition, the Journal of Memory and Language, the Journal of Experimental Psychology: Applied, and Memory and Cognition. I have a record of ARC grants going back to the start of the present granting system plus two NH&MRC grants. I currently have an ARC Linkage grant. 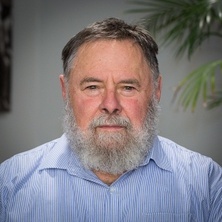 I am perhaps best known for my work on the Global Matching Models where I focussed on the cues, the role of context, the nature of the memory access operations, the discrimination problem faced by the memory system in solving specific tasks, the distinction between episodic and semantic memory, and the complexity of the memory representations. I have also been interested in the role of arousal/motivation in memory and how memory is controlled. All of these issues have been readdressed in a book which I havewritten with Kerry Chalmers. My work has been cited 6356 times (Google Scholar) and 2065 times since 2012. My h index is 36, 18 since 2012. I have been interested in applying my knowledge of memory to applied problems. In this regards, I have worked on the role of memory in learning disabilities, air traffic control, facilitating care of dementia patents, and in memory for sponsorships. I have also co-authored a paper with Dr Andrew Smith validating the results produced by a knowledge discovery program. My latest applied project is an ARC Linkage grant investigating the role of similarity in trademark disputes. In this work much of my focus was on improving the way memory research was used to answer applied problems. Journal Article: Review: A new type of memory system or an addition to an old memory system? Humphreys, M. S. and Kashima, Y. (2002). Connectionism and Self: distributed representational Systems and their Implications for Self and Identity. In Y. Kashima, M. Foddy and M. Platow (Ed. ), Self and Identity - Personal, Social and Symbolic 1 ed. (pp. 27-54) New Jersey: Lawrence Erlbaum Associates. Humphreys, M. S. and Tehan, G. (1999). Cues and codes in working memory tasks. In Chizuko Izawa (Ed. ), On Memory: Evolution, Progress and Reflections on the 30th Anniversary of the Atkinson and Shiffrin Model (pp. 127-150) Mahwah, New Jersey: L Earlbaum Associates. Review: A new type of memory system or an addition to an old memory system? Humphreys, MS (2002) Memory: systems, process, or function?. Contemporary Psychology-apa Review of Books, 47 4: 419-421. Williamson, A and Humphreys, M (2002) Special issue: Human factors. Australian Journal of Psychology, 54 3: II-III. Humphreys, MS (2000) Interpreting the match in the Global Matching Models. International Journal of Psychology, 35 3-4: 406-406. Tehan, Gerald and Humphreys, Michael S. (1996) Cuing effects in short-term recall. Memory and Cognition, 24 6: 719-732. Retrieval plus scanning: Does it occur? Humphreys, Michael S., Cornwell, T. Bettina, Weeks, Clinton S. and McAlister, Anna R. (2007). An examination of recall measures of sponsorship awareness. In: G. J. Fitzsimons, 34th Annual Conference of the Association for Consumer Research, Orlando, FL, U.S.A., (383-383). 28 September - 1 October 2006. Loft, S., Bolland, S. and Humphreys, M. (2007). Modeling the human air traffic controller, Part I: Expert-trainee differences in conflict detection. In: International Symposium on Aviation Psychology 2007. 14th International Symposium on Aviation Psychology, Dayton OH., (). 23 - 26 April 2007. Weeks, Clinton S., Cornwell, T. Bettina and Humphreys, Michael S. (2006). Empirical support for an item and relational conceptualization of sponsorship. In: Cornelia Pechmann and Linda L. Price, 33rd Annual Conference of the Association for Consumer Research, Antonio, TX, (312-313). 29 Sep-2 Oct 2005. De Zubicaray, Greig I., McMahon, Katie L., Eastburn, Matthew M. and Humphreys, Michael (2006). Support for an auto-associative model of cued recall: Evidence from fMRI. In: 4th International Conference on Memory (ICOM-4). 4th International Conference on Memory (ICOM-4), Sydney, Australia, (). 16-21 July 2006. Humphreys, Michael S. and Maguire, Angela M. (2003). Recollection and familiarity: Redundancy at the item level. In: Chizuko Izawa and Nobuo Ohta, Human learning and memory: Advances in theory and application. Proceedings of: The 4th Tsukua International Conference on Memory. 4th Tsukuba International Conference on Memory, Tsukuba, Japan, (61-84). 11 - 13 January 2003. Cornwell, B. T. B., Humphreys, M. S., Maguire, A. M. and Tellegan, C. (2003). The role of articulation in sponsorship-linked marketing. In: L. R. Kahle and C-H. Kim, 22nd Annual Advertising & Consumer Psychology Conference. 22nd Annual Advertising & Consumer Psychology Conference, Seoul, Korea, (8-9). 5-7 June, 2003. Category effects in episodic recognition: Are item noise accounts sufficient? Maguire, Angela, Humphreys, Michael and Dennis, Simon (2002). Category effects in episodic recognition: Are item noise accounts sufficient?. In: Proceedings of: 27th Annual Interdisciplinary Conference (AIC). 27th Annual Interdisciplinary Conference, Jackson Hole, Wyoming, U.S.A., (). 3-8 February 2002. Chalmers, K. and Humphreys, M. S. (2000). Experimental manipulation of prior experience: Effects on item and associative recognition. In: D. Mahar and G. Teehan, Australian Journal of Psychology. 27th Annual Experimental Psychology Conference, Novotel Twin Waters Resort Queensland, (29). 27th - 30th April. 2000. Fatigue and human error in the maritime domain (2003) . Edited by M. R. Grech, T.J. Horberry and M. S. Humphreys. Proceedings of the 5th International Conference on Fatigue and Transportation: Coping with a 24 hour society, 9-14 March 2003, Esplanade Hotel, Fremantle, Western Austraia.